A six-year-old boy was rushed to hospital with head injuries following a road traffic collision. Paramedics were called to Washington Avenue, Grovehill, Hemel Hempstead at 8.21am this morning (Thursday, June 18). 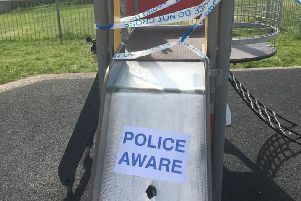 The incident involved a silver Ford Fiesta and a young boy, who is believed to be a pupil at the nearby Maple Grove Primary School on St Agnells Lane. He was taken to Watford General Hospital for further care before being transferred to St Mary’s Hospital in London. A spokesman for Herts Police said officers were called to the scene at 8.23am and the road was closed until 9.10am. They urged witnesses to call the non-emergency number 101, quoting reference 121 of June 18.